In a Nutshell: With so many options available, searching for the right credit card can be a daunting process. For Canadians, LendingArch helps to simplify the process through their convenient credit card comparison service that allows consumers to find and apply for the card options best suited to their wants and needs. The FinTech startup also offers rate comparison tools on a number of different types of loans, making it a one-stop shop for customer’s lending needs. With all of its services, LendingArch places its highest priority on the security of customers’ data and makes sure it is working with partners who also hold security in the highest regard. The number of credit cards to choose from these days can be overwhelming. Are you looking for a low APR? Do you want to earn travel rewards? Are you trying to rebuild your credit? The list of questions you might ask yourself can go on forever. Once you determine what your personal needs and preferences are in a credit card, it’s time to start shopping around. Where do you even begin? Again, the options can seem limitless. You could go to your bank to see what kind of credit cards they offer. You could consider the credit card offers you get in the mail. You could turn to the internet, but with thousands of credit card sites and offers, how do you filter through them? Which ones are legitimate and secure? If you live in Canada, this process has become much simpler with LendingArch. Launched in 2015 as an online personal loan platform, LendingArch moved out of the direct lending space in 2018 to its current business model to help serve a much larger audience. Hadzoglou said LendingArch received enough of these types of questions that it began to seriously reconsider its business model to fill the niche they had identified from their customers. Last year, the team decided to change the direction of the company to meet these needs by moving out of the loan issuer space to work with other loan and credit card issuers. 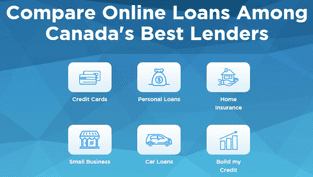 Today, with its mission to “help Canadians find the best rates and see how they can save money,” LendingArch offers rate comparisons for personal loans, small business loans, car loans, personal loans, and credit cards. 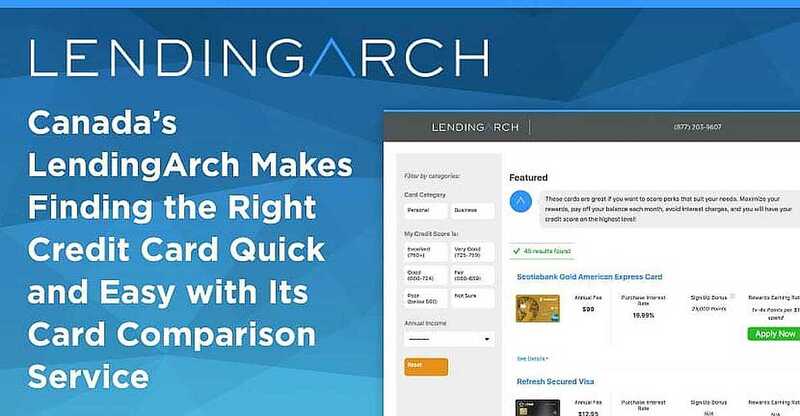 With LendingArch’s credit card comparison tool, consumers now have the power to see a range of credit card options and features available to them. 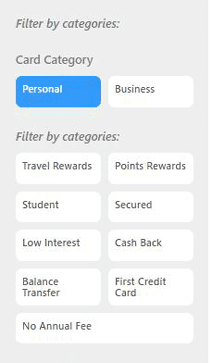 Consumers can input their preferences to filter cards by personal or business, then into various rewards categories, including travel, points, cash back, or no annual fee. Users also identify a range in which their credit score falls and their annual income. LendingArch instantly presents the consumer with the credit cards that match up with their profile. Hadzoglou said as for which cards tend to be the most appealing to Canadians, it’s all about the perks. He said Canadians don’t just think of credit cards as something to apply charges to and pay them off — they like the idea of using a credit card as a tool to gain something. And consumers can be sure they are receiving high-quality card options to choose from when they use LendingArch. Hadzoglou said once LendingArch began to recognize the demand in other lending areas, it conducted some research which revealed a gap in services in Canada: There was not a FinTech website in the country that offered a variety of online loan services. The company took note of LendingTree in the US, Hadzoglou said, where consumers can go on the website, apply for loans, and be connected with the lender that best meets the consumer’s criteria. The result of LendingArch’s research and reevaluation of its business model came to fruition earlier this year with the implementation of its own technology that allows for quick comparison rates for not only credit cards, but personal, business, or auto loans, as well as insurance. LendingArch’s services not only benefit its user base but its industry partners as well. The company is able to provide pre-qualified customers with a high probability of being approved for a loan directly to its lending partners, increasing the efficiency of its partners’ marketing efforts. While it’s true that many consumers today want to be able to receive products and services quickly and conveniently online, security is still a major concern. Hadzoglou said LendingArch takes every precaution to make sure users’ information is protected. LendingArch’s website has the highest level of encryption available. Hadzoglou said the company works with Microsoft to ensure this, and in terms of data security and integrity, its server is considered the most robust and most secure place to store data. As far as LendingArch’s partners, consumers can be confident that they are going to be referred to high-quality companies and national banks. In its most recent report, LendingArch’s rankings for credit card searches in Canada were on the rise, and Hadzoglou said the result has been that more and more people are finding the LendingArch website and applying for credit cards through the company. He said the company also hopes to secure partnerships with some of the other major Canadian banks in the future. With so many credit card options available to consumers today, having the right tools to narrow down the options is essential. With LendingArch, Canadians are now able to conveniently search for the credit card best suited to their wants and needs. And with its other services, LendingArch has positioned itself as Canada’s one-stop shop for loan rate comparison as well.